Following the highly anticipated release of Healing Tide, the lead single and title track from The War and Treaty’s first full length LP, produced by Nashville legend Buddy Miller, I had the chance to sit down and talk with Tanya and Michael Trotter, Jr. about life on the road, their philosophy on love and hope for mankind, and Emmylou Harris’s homemade brownies. Let’s start at the very beginning. I was curious to know more about your background, Tanya, after seeing your show at Vinyl in Atlanta last year. You were a seasoned performer before you ever met Michael, with a recording contract with Polydor Records and a starring role alongside Whoopi Goldberg in Sister Act 2, not to mention some seriously strong gospel roots. How do you feel that helped shape you as a performer, and how do you translate that into your music? Tanya: It was a great training ground! People ask me all the time, “How do you sing like that? It’s so hard!” and I never thought of it like that. We grew up singing like that; the music director would just say, sing louder, sing louder! You learned how to breathe, and it was in church. It was a safe place. If you hit a wrong note, it was okay. You were surrounded by people who loved you, and I think that freedom translates onto the stage now. Training and technique without heart doesn’t mean anything. Whether we’re approaching a folk song or a blues song, it all starts with heart. At what moment did you know you were meant to make music together? Michael: Tanya had enlisted me to write the songs for a project she and her equally talented brother, Willie, were working on. Fate would have it that Willie couldn’t make a couple of rehearsals and I would fill in for him so Tanya could learn the parts. From the moment we sang the first note together, I knew something special was taking effect. That’s such an appropriate answer, without putting yourself into any box. Do you ever struggle with feeling like you’re being put into a box, whether it’s folk, Americana, soul, gospel, or blues? Michael: I do. I struggle with the fact that there are boxes and genres, and not just “music is music.” You intend in your creation to just create music, and then people get a hold of it. They intentionally box it up. I was looking at the lineup for this festival we’re performing at — and it shall remain nameless — and it was frustrating because there were only five black acts in the lineup, and four of the five acts were put on the same stage. And because we growl, or there’s foot stomping or hand clapping, we’re automatically labeled gospel, just like when a Caucasian artist grabs an acoustic guitar, they’re automatically labeled country. Gospel doesn’t mean the same thing to everybody, and we’ve been associating the word “gospel” with artists instead of a feeling. When people leave our show, they feel “gospely,” they’re revived and refreshed and exhilarated. What do you think is the biggest challenge when it comes to sharing your story through song? Michael: Choosing which story speaks first. I found myself having a hard time allowing the story to sing, versus singing the story. When you try to control it, the song becomes distorted. However, when you allow the story to sing its own song, you’d be amazed at how in tune and in step the song is with your current timeline. It just has a natural flow. Michael: I wrote all the songs for both the EP and the full-length album, and I can tell you that the process was processing me. The writing came out of a place of development. I had to self-search, self-heal, and self-love, and it was draining at times, but beautiful, because I could see what was shaping up on the other side even though I was breaking down in the current state. How did you go about writing your first full-length album, Healing Tide? Michael: I got extremely reflective of the responses and positions we as a merged unit were taking. Tanya and I would have several conversations about love, and the songs were written off of those conclusions, from “Love Like There’s No Tomorrow” all the way down to the closing track, “Little New Bern.” It’s all a reflection concluded or reconciled that without love, existence ceases. 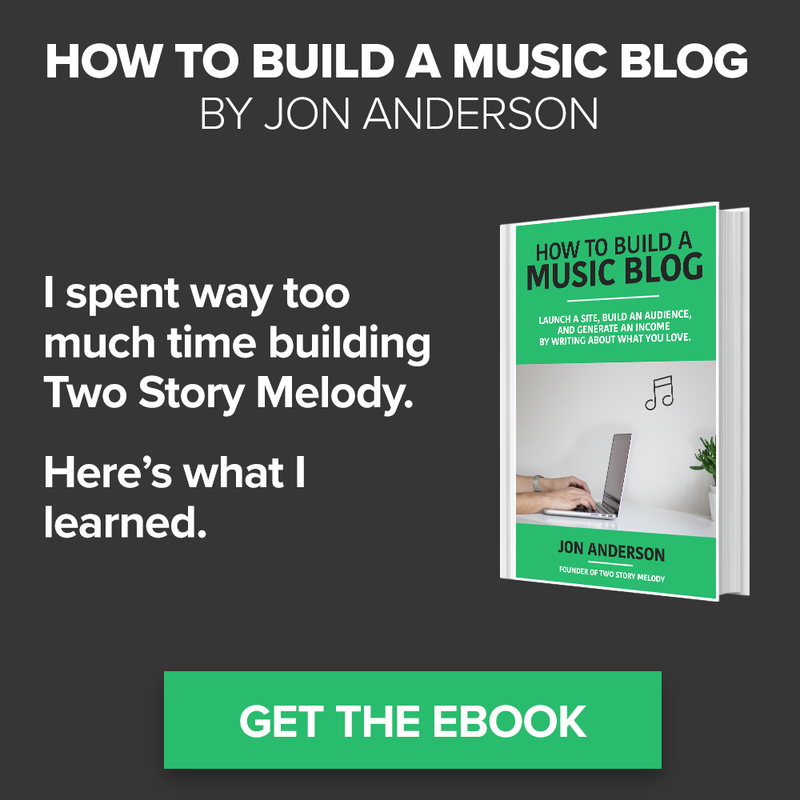 What was the biggest difference in writing your EP, Down to the River, and Healing Tide? Michael: The difference between the two projects was a matter of getting ready for love, and being ready for love. Healing Tide is being produced by Buddy Miller. Can you give any insight into the process and what it’s like to work with such an icon? Michael: It was humbling on all accounts because whatever nerves Tanya and I had, Buddy met them with his own nerves! It was so funny because the three of us had to put aside talent, skill, accolades, and accomplishments, and become newborns together. Once we did that, we got on the same playing field, and we decided we were going to hold hands and walk into this fiery furnace together and see what we come out with. It kept it honest. It went from working with this icon to someone who truly cares and wants to keep it authentic. He would tell us, “No, that’s too much,” or “Let’s clean up that growl some and really let the story come through,” or “Maybe that resonator makes it too country in a way y’all don’t want.” All of it was a partnership. Buddy has a unique way of reminding you of yourself. We had a blast working with him and watching him work. He’s very shy, and most people don’t see that shyness up close and personal! He’s worked with everyone — Dolly Parton, Emmylou Harris, Band of Joy, Patty Griffin — but he forgets all of that when it comes to you. He says, “Today, I’m producing The War and Treaty.” It’s humbling and unique. He’s taken the position of godfather in our lives, and we truly love him and his wife, Julie. She came down a few times during our sessions. Anyone who knows her knows that she’s a riot. She could be a comedian in her own right; twenty seconds with Julie is enough to prove it! She sat in on our session one time, and she couldn’t believe that that sound was coming from a studio in her home! The whole process was unique, from spending time with Julie and watching her interact with our son, Legend — she even brought him a stuffed animal — to eating homemade brownies made by Emmylou Harris herself. What inspires you to make this music? Michael: Our music is inspired by everything. The Winans have a song that says “everything you touch is a song,” speaking of God. I’ve learned that everything we touch is a song as well. If we touch a tree, or a plant, or even one another, something kinetic surges and we live on. As long as we’re in that mindset, there’s never a dull moment. The person who wins in life is the one who intentionally looks for inspiration. The way you get out of always writing a song about you is to say “today I will be inspired by someone or something,” and that changes the game. Of course you’ll have dull moments where you’re writing about you, because you’ve lived with yourself since you were born (laughing), but I look around and see the clouds in the sky or the tree that doesn’t worry about how high the sky is in order to grow, and I know it’s all intentional. You both speak a lot about the interconnectedness of the human soul with the planet and with one another, and after seeing you perform live, I can honestly say that there’s nothing “ arm’s length” about the two of you, your music, or your performance. How do you continually bring that openness and connection, to each other and people you may have never met before, to the stage night after night? Michael: It comes down to partnership on the stage. Once you’re out there and you feel that air and the breeze, or the sun if you’re playing during the daytime, and the energy from the audience, it’s all a partnership to create this one atmosphere or singular moment where you try to connect with the souls, the spirit, and the atmosphere around you. When it comes to disarming people and breaking down walls, did the two of you set out to do that, or was it a direct result of just doing what you do? In the face of all that’s impacted us as a nation and the world over, it can seem like there’s no end in sight, but one thing that struck me while listening to your music was the belief in each other, in people, and a better tomorrow. Have there been moments when you’ve struggled to maintain that belief? Michael: Definitely! One of those moments was when serving in the army. You go through periods of peace even during wartime, and that peace can trick you into forgetting you’re even there. Then the realities of war kick in. You can grow weary, but you can never get tired of believing in others and hoping for someone. There’s never a moment where you want to give up; it can just be draining, and then you have to go and find your spaces and your people who can refuel you. Tanya used to tell me that if you’re the best in your circle, your circle is filled with failure because don’t have anywhere to go from there. There’s no one to look up to. But if there’s someone else you can look up to, to ask, “Refuel me, please. Give me energy, give me some oil for my lamp.” They can give you the energy to go on and keep believing. I think this hope, even in the midst of difficulty, translates very clearly into your music. You’ve obviously both been in places where hope seems very far away; how did you hold onto it, and keep pushing forward? Michael: I held onto Tanya from the moment I met her. I had the gift of songwriting, and she wanted to learn more. On maybe our third meeting, though, she learned that I had a lot of pain and insecurity. She taught me that it wouldn’t always be like this. She poured love, light, and prosperity into me, and I was open and willing to take it all in. This is ninety percent of our story, and we poured that into our EP. It shows in a song like “Florida”: you know you’re going to beat it, but there has to be some realization there. Tanya: How I push through is living the truth. There are a lot of lies out there, and social media forces people to cover up and build a lie to protect themselves. Michael and I came to each other with walls but learned to love each other as we broke down those walls. It’s not about being perfect. Our EP wasn’t perfect; there were notes or melodies that weren’t perfect. Our musicians weren’t professionals, they were retired scientists and teachers. It was made by imperfect people, but I think it reminds people that you don’t have to be perfect to be loved. Michael: Even if you’re imperfect, you can have hope. Not hope that you’ll be perfect, but that you can be better. That’s what we believe: our world will never be perfect, but we can get better. When you come to a War and Treaty show, we have hope — we are that hope — and eventually, that hope will give into the stride and spirit of humanity. Michael, you speak very openly about being inspired to sing at the memorials of fallen soldiers after the death of the captain who made it his mission to see you returned home safely. How were you able to constantly go into situations of grief, give of yourself, and offer comfort? Michael: The primary reason for writing [the memorial song] becomes secondary. You go into the situation knowing that a soldier has died, but then you start learning about the soldier from the stories. They speak as if the soldier is still there — what made them laugh, inside jokes. It seems so real and so clear that it no longer feels like a funeral song, but like you’re getting reacquainted with an old friend. It’s no longer a stranger who died, it’s personal and real. Have you ever doubted that you’re on the right path? Michael: There were some doubts at one point, and our doubts turned out to be right! We weren’t headed in the right direction, and we had to make adjustments. Oftentimes you can have the right motive but the wrong path. We go with our gut and our feelings, and we make the adjustments and keep moving forward. We’re faced every day with indecision about whether we did the right thing or the wrong thing. Even with this record coming out, we were so nervous because it’s different from the EP. But at some time along the way you realize you’re in your own head, you’re in your own way, and you’re overthinking it. You’re going into this big old drama pool for no reason, and you have anxiety because you’re putting out a piece of you, but one that was always meant to leave you. How do you balance touring, songwriting, and raising a family on the road? Michael: We travel with our son, Legend, who is six years old. He is homeschooled by his nanny, so it makes all of this worthwhile! A steady beam has no balance issues unless it’s built on uneven [ground], and our household is as even as it’s going to get! That’s definitely an unconventional – but exciting and educational! – way to raise your son, but I love that you guys have been able to keep your family unit together while you’re on the road. Have there been any challenges? Michael: There used to be, and we probably differ in views on this. For me, one of the major challenges is what drove us to make this decision: not having the right kind of support system in place to have the lifestyle where we put him in school and leave him for weeks at a time. We hired a nanny/personal assistant, and even when we’re not on the road, we have the freedom to do things like go out on a date. She’s always there, and we can call her over without any restraints on her time. We also have an opportunity that most husbands and wives don’t: to keep talking, and coming up with creative ways to keep him entertained. Tanya will go over words with him, and we make sure he’s aware of every city and state we’re going to. It’s all about keeping our family unit together and starting our own traditions. (Laughing) One of them, a keychain tradition for each state we were in, started — and ended — in Iowa! Tanya: One of the challenges is always making sure there are things to do with him, and carving out special moments with our son, like taking him to a museum, to make memories for him when he grows up. What do you hope he takes away from all of this? Tanya: Freedom. I hope he learns to be a free thinker, and know that there’s a great big world out there with no limitations. He can do whatever he puts his mind to. Michael: I would hope that he connects with the part of him that he may question at times, the part of being an artist. We’ve probably grown up with more questions than someone who works a nine-to-five: why don’t I fit in, why am I different, why do I hear music all day but some people don’t? He’ll have so many questions, but it’s been amazing to see him grow and watch him interact with other people. I hope he remembers this in those moments when he’s older, and remembers that we’re always here, and we’ve kept our family together. One last question! If you could ensure people take one thing away from your music, whether in person or while listening to the record, what would it be? Michael: We want people to take away this point: that we are all one and the same! The War and Treaty’s lead single and title track, “Healing Tide,” from their upcoming full-length LP is available now on iTunes. 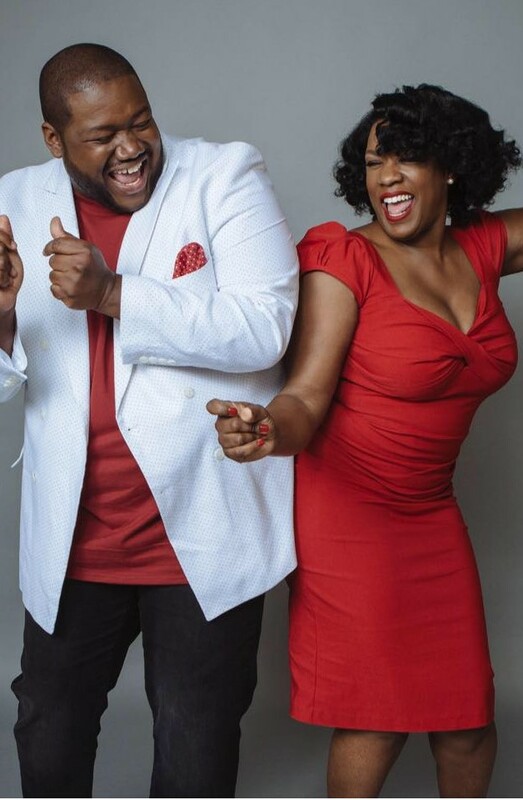 Visit www.thewarandtreaty.com for more, follow them on Facebook, Twitter, and Instagram, and catch them live and on tour Summer 2018. Born on the Okefenokee Swamp and raised on rock 'n roll, Luci Turner is a full-time musician and writer whose passion for music led her to Atlanta. She's most often found packing a suitcase, digging through a pile of records, or looking for a time machine to the 70s. You can follow her on Instagram, and check out her band, BEAU + LUCI, here.